BINGO!!!!! The family spent all day checking us out to make sure we were legit! YAY! We are now in touch with a relative of Earl W. Garrison, his great niece from California. He was KIA on March 30, 1945 in the Solomon Islands. The family has heard stories about him and informed us that they have photos. So, hearing his voice on this record will be fabulous! This is so much fun! Good job Sara! This is our latest quest! 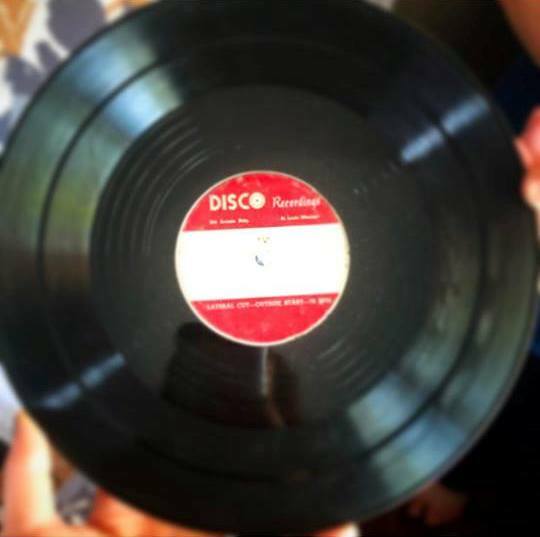 We have a record from WWII with the voice of Earl W. Garrison from North Dakota. On the record, he mentions his siblings names. Our Special Projects Researcher (and guru), Sara Collins, has identified the family and we are now trying to make contact with them. However, in the age of social media and scammers… we sometimes get deleted when we are making contact. We are posting this here in the hope that they will check out our website and see that we are real and that we want to return this valuable item to the family at no cost to them. We are keeping our fingers crossed that the family responds to us via Facebook. Myra is now in possession of Prentice W. Ball’s knife after it traveled from Alpen, Germany where it was hidden for 73 years in a foxhole. It was quite amazing to touch it and hold in my hand. Sara Collins and I are so excited to deliver the knife to the family on May 20th at 2:00 pm in the library at West Point High School, Cullman, Alabama. Joey and Myra had the privilege and honor of being on the research/film team for what we call, the plane crash project. Our Dutch friend, Bob Konings, has finished the website that tells the entire “King Size” story along with photos of our adventure. Please take an opportunity to read about the crew, what happened, and a team of passionate (and crazy) people who came together to solve a mystery for Victor. Victor was a six-year-old boy who witnessed a plane explode in the air and watched horrified as two parachutes opened on Christmas Day, 1944, during the Battle of the Bulge. The plane crashed in the field by Victor’s house. The Americans came and took the bodies and large sections of plane out of the area leaving the local citizens without a name for the plane or the crew. Myra and Joey were team members on this great adventure with Bob Konings and his crew! We love the King Size project! WWII knife to be returned to family! 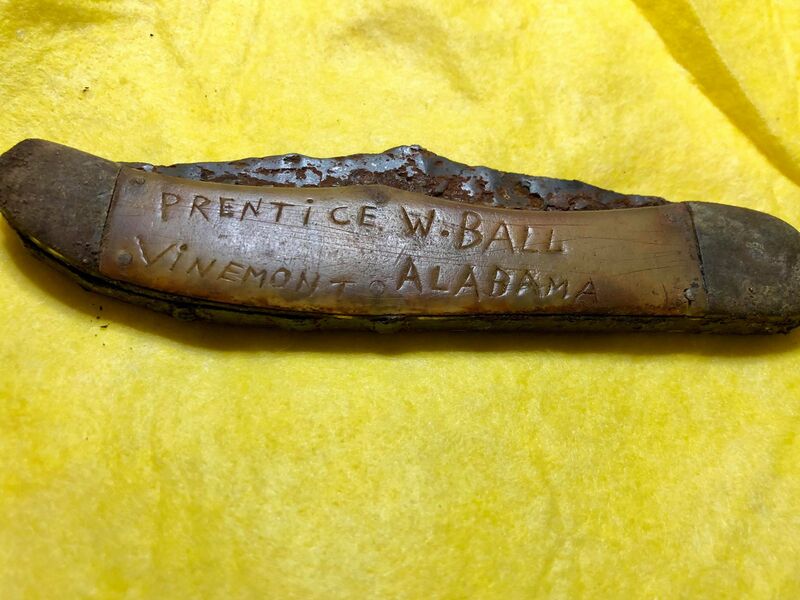 We have 100% confirmation that the pocket knife etched with Prentice W. Ball’s name (found in Germany last week) belongs to his daughters living in Alabama. It will be an honor to return the knife to them and his family in mid-May. 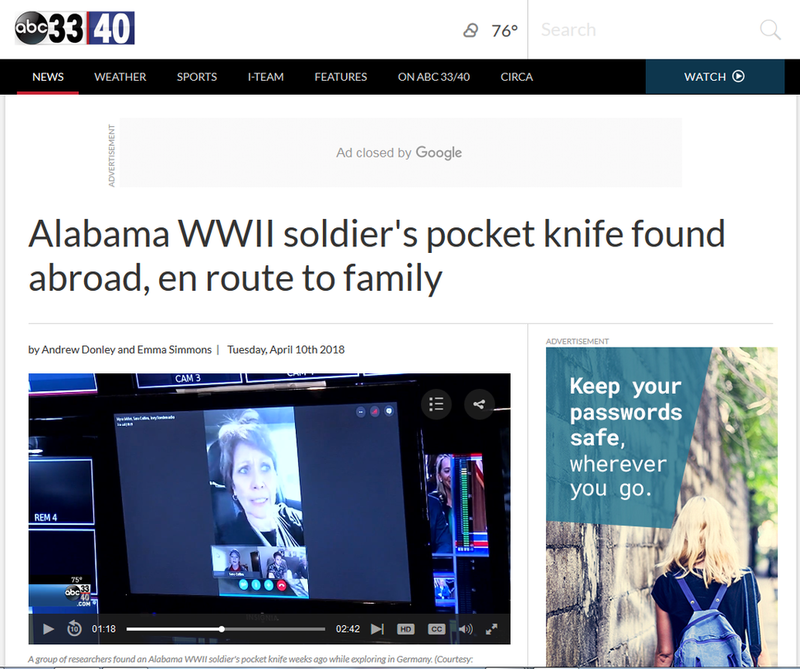 Stay tuned as this fabulous story unfolds with even more details… his WWII footsteps will be shared upon return of the knife. 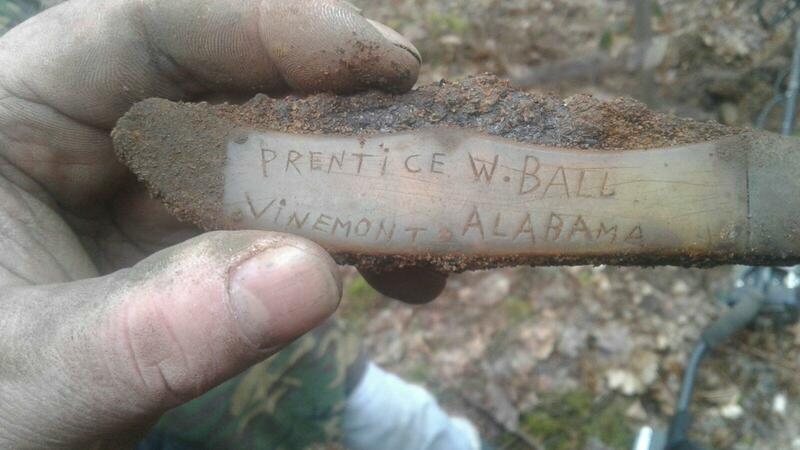 Prentice W. Ball served in Company A, 117th Infantry Regiment, 30th Infantry Division. Imagine finding or having a WWII canteen, knife, jacket, mug, plate, etc… that is a mystery to you. You might have been metal detecting, purchased on eBay, or been rummaging through a flea market and come across this relic of the past. But this one is unique…. 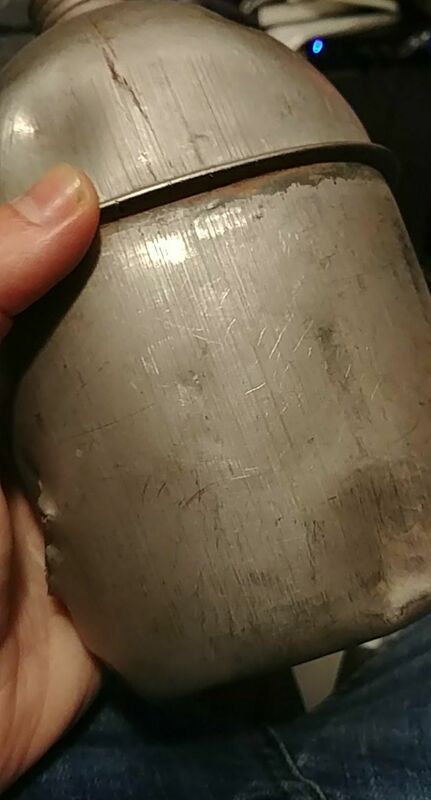 it clearly has a name or number etched/scratched/stamped on it. Who dropped it? Who lost it? Why did they leave it behind? Where were they from? At no cost to the person in possession of the WWII item or the veteran’s family, Footsteps Researchers will attempt to find the rightful owner. However, the person in possession must be willing to give up the relic and let us return it to the family of the veteran free and clear once our search is 100% confirmed. UPDATE: We have a 100% confirmation with family in Alabama and will be returning the knife to them on Sunday, May 20th. Place and time still to be determined! * The attached photo is a canteen we are currently researching. It has the name “Gilbert” scratched in it. We know where it was found, so we know the possible time and unit. We don’t know if Gilbert is first or last name. Looking forward to reuniting this personal item with the family of the veteran who lost it. ST. LOUIS, MISSOURI, March 19, 2018— On Christmas Day 1944, seven crewmembers perished after their B24 was shot down over Belgium attempting to return to their base in Hethel, England, from a bombing mission to Germany. Two crewmembers survived. Seventy-three years have passed, and on March 23-24, 2018, Peter Ferdinand, Jr. and his sister Debbie Ferdinand Kelley will travel from the United States to Belgium to participate in the recovery of their father’s plane, King Size, 42-50612. 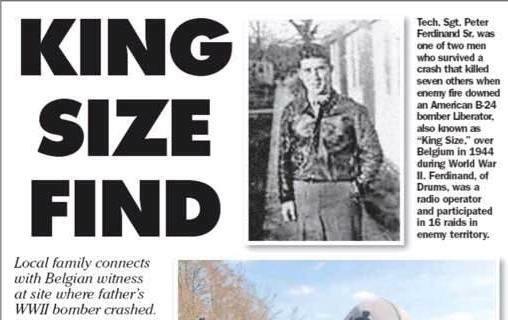 Peter Ferdinand, Sr. T/Sgt, was one of the two fortunate survivors of that fateful crash. Ferdinand parachuted to safety in the middle of fierce fighting during the Battle of the Bulge. He was eventually rescued by Americans and survived the experience. Ferdinand returned home to Drums, Pennsylvania, married, and had a good life raising four children. In 2014, an aging landowner asked his community for help to metal-detect and locate pieces of a plane he remembered seeing crash as a young boy. It had happened on his family’s farm around Christmas time in 1944. For four years a group of Dutch and Belgian men led by Bob Konings of Grandmenil, Belgium, metal-detected on the land. They eventually located the debris field and recovered numerous small pieces which they were able to identify only as a B24. The farmer wanted to erect a memorial on his property to the crew of the plane that he had seen crash. The name of the plane and identity of the crew continued to elude the team of detectors. In November 2017, Konings requested the help of Myra Miller, PhD, a WWII researcher living in St. Louis, Missouri, in identifying the plane and crew. With the help of Steven Volkaerts, a Flemish WWII expert, Konings identified the 42-50612 as a possible match. David Pratt, an Englishman and WWII 8th AirForce expert, found the MACR (Missing Air Crew Report) with the list of names. After narrowing the list of possible planes to three (which included the 42-50612), Miller ordered the IDPF (Individual Deceased Persons File) and OMPF (Official Military Personnel File) related to these crashes. 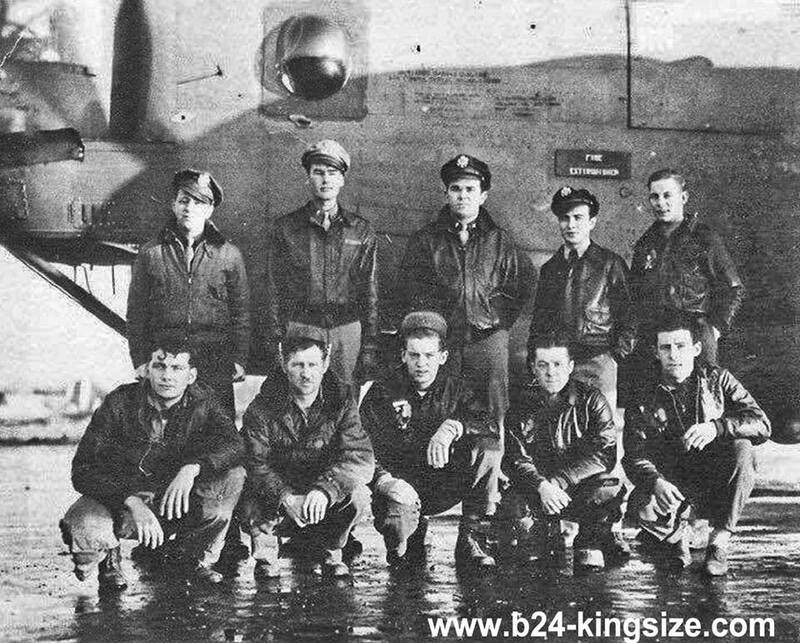 After reviewing almost thirty files, she was able to confirm the downed plane as the King Size, B24, 42-50612 and name the nine crewmembers. Within hours, Konings and Miller located Peter Ferdinand’s son on Facebook and made the initial contact. On March 23, 2018, Miller will excort Ferdinand’s adult children, including his son-in-law, to Belgium. They will arrive at 1:30 pm at Henri-Chapelle American Military Ceremony near Liege, Belgium to participate in a “sanding-of-the-marker” ceremony honoring the pilot and tail gunner who died in the plane crash. MEDIA: Media are welcome to attend the ceremony at Henri-Chappelle and interview Konings, Miller, and the Ferdinands. Twenty members of the plane crash recovery team, along with the Ferdinands, will excavate the final pieces of the B24 out of ground on Saturday and Sunday, March 24-25. During the process, a film crew will document the entire story and recovery. The team anticipates major pieces of the plane to be uncovered which will be cataloged and donated to a museum. MEDIA: The location will not be made public and only members of the media who contact Bob Konings directly will be invited to the area. Friday, March 23 – 1:30 pm, Henri-Chapelle American Military Cemetery, “Sanding-of-the-Marker Ceremony” at the graves of 1st Lt, Raymond E. Price, pilot, and S/Sgt, Henry G. Maxham, tail gunner who died on December 25, 1944. Adult children of Peter Ferdinand will participate in the ceremony. MEDIA are very welcome. Saturday, March 24 – Plane Crash Site, Belgium; recovery team will excavate land (approved and permitted by landowner). MEDIA: You may contact Bob Konings for specific directions to site and approval to film and interview landowner, Ferdinands, and digging team. Sunday, March 25 – Ceremony at Site 3:00 pm, Plane Crash Site, Belgium; continued excavation with ceremony honoring the crew of King Size. MEDIA: You may contact Bob Konings for specific directions to site and approval to film and interview landowner, Ferdinands, and digging team.